July 19, 2017– Santa Cruz, California – The City of Santa Cruz has selected Amano McGann to replace their Parking Access and Revenue Control System (PARCS). The project consists of 18 lanes with installation scheduled to begin this fall. Amano McGann’s OPUSeries entry terminals, exit terminals, pay-on-foot stations and point-of-sale (POS) terminals will be installed at four Santa Cruz parking facilities that accommodate over 1,600 vehicles. The City wanted a scalable PARCS solution that can grow as their parking operations develop over time. 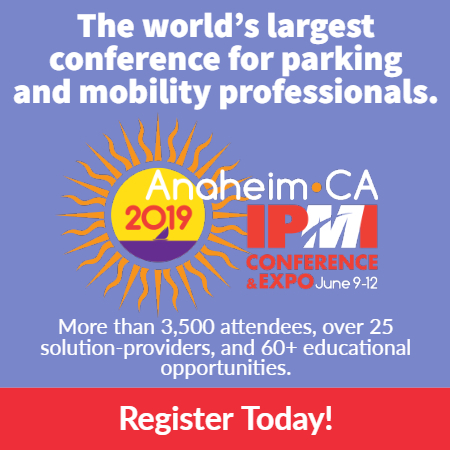 The project also includes the implementation of Amano McGann’s industry-leading parking management software, iParcProfessional®, and web-based validation solution, eParcSuite®. “The City of Santa Cruz, a popular seaside destination, wants to provide visitors and residents with convenient features that make their parking experience fast and easy,” said Steve San Filippo, senior sales executive at Amano McGann’s San Leandro Branch. “eParcSuite offers options for QR validations that can be printed or displayed on a smartphone and passes that can be a single-use or multi-use solution.” All software features are managed in iParcProfessional which offers a user-friendly interface and comprehensive reporting. The City of Santa Cruz also opted to include EMV-capable entry, exit, pay-on-foot and POS terminals to offer the latest payment technologies to their visitors. Amano McGann’s EMV-capable solution is PA-DSS 3.1 certified. The solution is comprised of EMVCo. Level 1 and Level 2 certified credit card terminals incorporated into OPUSeries barcode devices which communicate with a cloud-based, third-party gateway to securely process credit card transactions from those terminals. Amano McGann, Inc. is a member of the Amano Group, a worldwide organization with annual revenues in excess of $900 million. As world leaders in the manufacturing and distribution of hardware and software solutions for the parking industry, Amano McGann distributes nationally through branch offices and an Authorized Distribution Network and provides a level of service and experience unmatched in the industry. For more information about Amano McGann’s integrated solutions visit www.amanomcgann.com.